Terrorism is not new phenomenon; however, the radical Islamic terrorism appeared in the Middle East following the failure of the so-called “Arab Spring” poses significant threat to Middle East countries. Terrorist groups like ISIS, Al-Qaeda and their affiliates are using new technologies such as social media, encryption, and dedicated manuals for “Open-source Jihad” which increased the sophistication of those new groups and challenged law enforcement and intelligence agencies in the region. 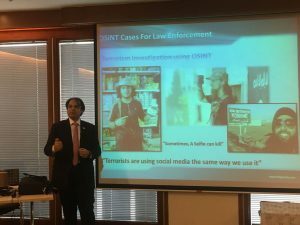 With the help of Twitter, Facebook, YouTube and other social media tools, global jihadists can share their contribution of jihadi media, literature, videos, and graphic arts. These free and open tools allowed even non-jihadists to participate, engage and share their thoughts within global jihadi environment. The emergence of open-source jihad created what is so called online “Jihadosphere”, similar to Arabic “blogosphere” for activists. The new generations of Jihadists are harnessing social media in propaganda, fundraising, recruitment and communications as well as information gathering. They use social media to collect physical addresses, phone numbers, and private information related to the target, such as family members and their connections. 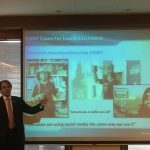 Law enforcement agencies in MENA need to realize that many aspects of the terror threat have been changing due to internet technology and new possibilities of cyber-connected world. These new developments require cultural shift in entrenched attitudes and approaches in law enforcement agencies across the region. In this context, The UNODC Terrorism Prevention Branch (TPB) hosted a National Workshop in Jordan for Yemeni Law Enforcement in May 2017 to enhance their capabilities to secure evidence for counter-terrorism investigations. Yemeni law enforcement and intelligence agencies face sophisticated situation due to conflicts and the presence of AQAP. To address this issue, special training funded by the Japanese Government was delivered by UNODC with the participation of international experts. It was great opportunity to deliver dedicated session on Open-source Intelligence and to meet dedicated colleagues from the UNODC TPB, Zouhair Racheha and Mohamed Fouda, and also one of the well-known experts on the international legal issues related to digital evidence, Dan Dan Suter.